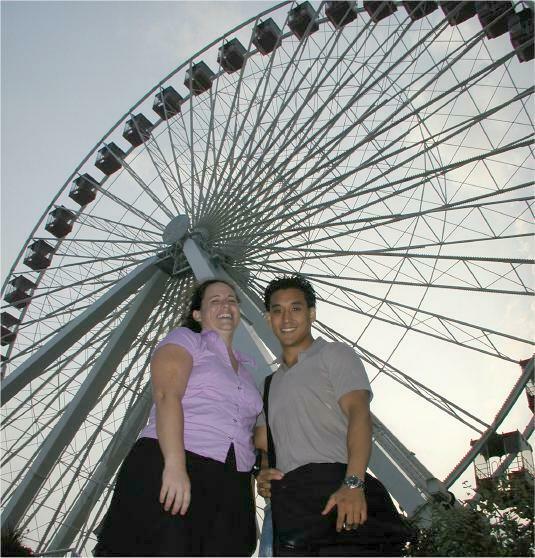 This picture was taken at Chicago's Navy Pier a day or two before the Law Forum. My business manager Suzy posed with Roy while I showed them some "trick" photography. Then Roy had to help me up off the ground. It's a good thing he was on the wrestling team in college! Roy is the only client I've had in the last four years to apply and be admitted through a binding early decision program. Georgetown Law Center is where he's spending his law school years. Now he's settled in as the Vice President in charge of distribution at AMC Networks, a global media industry. think-tank when I can steal an evening from her.